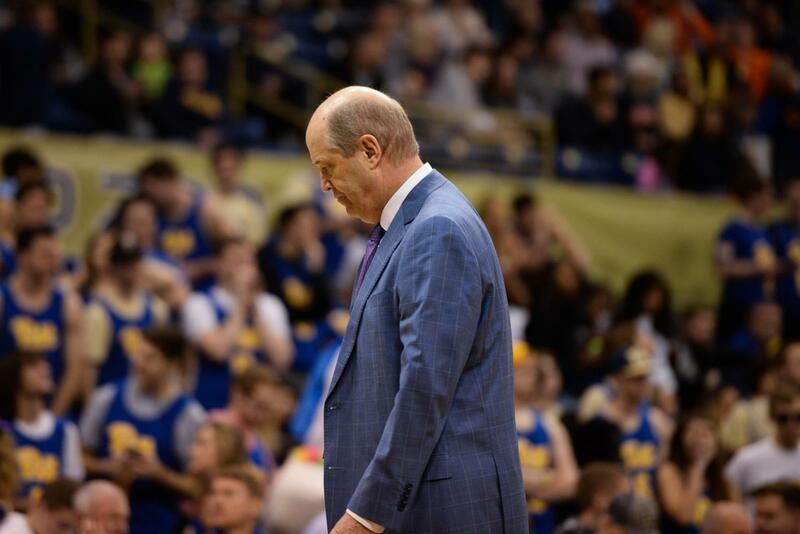 Pitt has fired men’s basketball coach Kevin Stallings, according to multiple reports, ending the coach’s tenuous two-year stint with the Panthers. The news comes on the heels of a season that saw the Panthers go 0-18 in ACC play — making them one of only seven teams in ACC history to go winless in the conference. It was the first time in Pitt history the team went winless in conference play as the Petersen Events Center saw historically low attendance. During Stallings two seasons at Pitt, he amassed a 24-41 record overall, including a 4-33 record in the ACC. The Panthers failed to make the NCAA tournament in both of Stallings’ seasons as head coach. In his first season, seniors Jamel Artis and Michael Young could not lead the team to a tournament berth. In the offseason, graduate guard Cam Johnson transferred to North Carolina, one of five Panthers to transfer. This left Pitt with a very young and inexperienced roster for Stallings’ second season. Stallings, who previously coached at Vanderbilt for 17 years, was hired by then-Athletic Director Scott Barnes in 2016. Stallings’ replacement will be Lyke’s first major coaching hire. “Moving forward, we have tremendous expectations for our men’s basketball program at Pitt,” Lyke said. While the exact details of Stallings’ contract with Pitt are not public, it has been reported that the University will owe Stallings somewhere between $9.5 million and $10 million for terminating his contract before its third year. Barring any transfers, the Panthers will return their full roster heading into next season. Pitt will also welcome a recruiting class that currently only has two commits including four-star forward Bryce Golden.